Anja Lutz is a designer for art books and has co-founded The Green Box in 2006. She was the initiator and art director of the international art and design project shift!, that has been presented at numerous festivals, exhibitions and lectures. 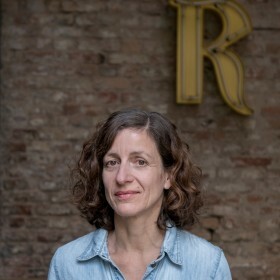 She received the European Adobe Design Award, was Visiting Professor at the American University of Beirut, lecturer at Bauhaus Universität Weimer and Universität der Künste Berlin, and also Fellow at the Akademie Schloss Solitude and the Jan van Eyck Akademie. Her design has always been inspired by her passion for art. Anja Lutz lives in Berlin.